With the onset of internet, postage has become history. emails have taken the place of hand written or typed messages. Technology has taken its toll on the most beautiful human creation – The Postage stamp. Postage stamps were started in the British empire and the first stamp was the penny black, with image of the young Queen Victoria. The people started collecting stamps as they really looked beautiful. The hobby spread all across the British colony areas and also to the United States. This is a common hobby of English and Americans otherwise arch-rivals. The first stamp the black penny was printed in 1840 and was the beginning of the interesting era of postage. John Edward Gray an Englishman was the most notable stamp collector of all ages. He started almost after the stamp was invented and came into being and had a famous and huge collection before the hobby became super popular. With hobby the study of stamps grew as well. 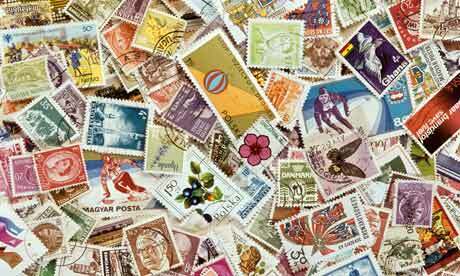 Postage stamps were hallmark of the culture of every country. They showcased the unique culture and nature. With time philately gave rise to many stamp collectors club. Every stamp in these collection is a book, if you can read it. In spite of technology taking its toll stamp collection still is one of the most popular hobbies in the world and my favorite hobby too.